A full colour book about the shaman’s of Mongolia and Siberia. The book looks at original drum traditions, and gives pointers for using drums in contemporary shamanic practice. Rich in photos of drums and shamans - many never published before. A unique book about shamanic drums, it will be of great interest to those wishing to walk a shamanic path. 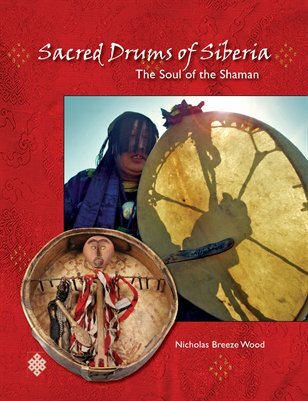 The author, Nicholas Breeze Wood, has been a shamanic practitioner for almost 30 years. He edits Sacred Hoop Magazine - the world's leading magazine about shamanism - now in its 20th year of publication. He has been studying and making shamanic frame drums for nearly 25, and his drums are used by many shamanic practitioners across the world.